Did You Win A Pair Of Tickets To The London Premiere Of Brazilian Oscar Entry BINGO: KING OF THE MORNINGS? We're giving away a pair of tickets to the UK premiere of the acclaimed Brazilian drama. 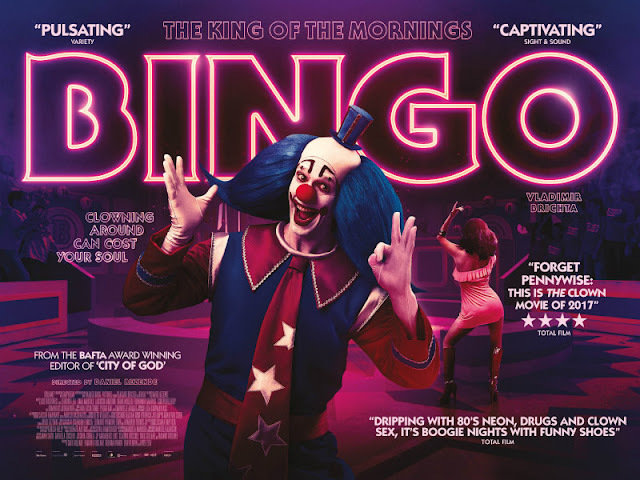 This year's Brazilian Oscar submission, Bingo: The King of the Mornings tells the madcap true story of Bingo, a TV clown who became a huge star in the Brazil of the '80s. We've got a pair of tickets to give away for the UK premiere, which takes place 7pm, Wednesday December 13th at Curzon Mayfair, 38 Curzon St, Mayfair, London W1J 7TY.